Miguel Nicolelis, M.D., Ph.D., is the Duke School of Medicine Distinguished Professor of Neuroscience, Duke University Professor of Neurobiology, Biomedical Engineering and Psychology and Neuroscience, and founder of Duke's Center for Neuroengineering. He is the founder and Scientific Director of the Edmond and Lily Safra International Institute for Neuroscience of Natal. Dr. Nicolelis is also founder of the Walk Again Project, an international consortium of scientists and engineers, dedicated to the development of an exoskeleton device to assist severely paralyzed patients in regaining full body mobility. Dr. Nicolelis has dedicated his career to investigate how the brains of freely behaving animals encode sensory and motor information. As a result of his studies, Dr. Nicolelis was first to propose and demonstrate that animals and human subjects can utilize their electrical brain activity to directly control neuroprosthetic devices via brain-machine interfaces (BMI). Over the past 25 years, Dr. Nicolelis pioneered and perfected the development of a new neurophysiological method, known today as chronic, multi-site, multi-electrode recordings. Using this approach in a variety of animal species, as well as in intra-operative procedures in human patients, Dr. Nicolelis launched a new field of investigation, which aims at measuring the concurrent activity and interactions of large populations of single neurons throughout the brain. Through his work, Dr. Nicolelis has discovered a series of key physiological principles that govern the operation of mammalian brain circuits. Dr. Nicolelis pioneering BMI studies have become extremely influential since they offer new potential therapies for patients suffering from severe levels of paralysis, Parkinson’s disease, and epilepsy. Today, numerous neuroscience laboratories in the US, Europe, Asia, and Latin America have incorporated Dr. Nicolelis' experimental paradigm to study a variety of mammalian neuronal systems. 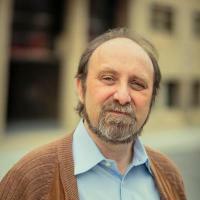 His research has influenced basic and applied research in computer science, robotics, and biomedical engineering. Dr. Nicolelis investigates how the brains of freely behaving animals encode sensory and motor information. He was first to propose and demonstrate that animals and human subjects can utilize their electrical brain activity to directly control neuroprosthetic devices via brain-machine interfaces (BMI). Nicolelis, MAL, Brain-machine interfaces to restore motor function and probe neural circuits., Nature Reviews. Neuroscience, vol 4 no. 5 (2003), pp. 417-422 [10.1038/nrn1105] [abs]. Nicolelis, MAL, The amazing adventures of robotrat., Trends in Cognitive Sciences, vol 6 no. 11 (2002), pp. 449-450 [abs]. Nicolelis, MAL; Ribeiro, S, Multielectrode recordings: the next steps., Current Opinion in Neurobiology, vol 12 no. 5 (2002), pp. 602-606 [abs]. Nicolelis, MAL; Chapin, JK, Controlling robots with the mind., Scientific American, vol 287 no. 4 (2002), pp. 46-53 [abs]. Katz, DB; Nicolelis, MAL; Simon, SA, Gustatory processing is dynamic and distributed., Current Opinion in Neurobiology, vol 12 no. 4 (2002), pp. 448-454 [10.1016/s0959-4388(02)00341-0] [abs]. Nicolelis, MAL; Fanselow, EE, Thalamocortical [correction of Thalamcortical] optimization of tactile processing according to behavioral state., Nature Neuroscience, vol 5 no. 6 (2002), pp. 517-523 [10.1038/nn0602-517] [abs]. Nicolelis, MAL, Depression at thalamocortical synapses: the key for cortical neuronal adaptation?, Neuron, vol 34 no. 3 (2002), pp. 331-332 [abs]. Katz, DB; Simon, SA; Nicolelis, MAL, Taste-specific neuronal ensembles in the gustatory cortex of awake rats., The Journal of Neuroscience : the Official Journal of the Society for Neuroscience, vol 22 no. 5 (2002), pp. 1850-1857 [10.1523/jneurosci.22-05-01850.2002] [abs]. Shuler, MG; Krupa, DJ; Nicolelis, MAL, Integration of bilateral whisker stimuli in rats: role of the whisker barrel cortices., Cerebral Cortex (New York, N.Y. : 1991), vol 12 no. 1 (2002), pp. 86-97 [abs]. Das, A; Franca, JG; Gattass, R; Kaas, JH; Nicolelis, MA; Timo-Iaria, C; Vargas, CD; Weinberger, NM; Volchan, E, The brain decade in debate: VI. Sensory and motor maps: dynamics and plasticity., Brazilian Journal of Medical and Biological Research = Revista Brasileira De Pesquisas Medicas E Biologicas, vol 34 no. 12 (2001), pp. 1497-1508 [abs]. Fanselow, EE; Sameshima, K; Baccala, LA; Nicolelis, MA, Thalamic bursting in rats during different awake behavioral states., Proceedings of the National Academy of Sciences of the United States of America, vol 98 no. 26 (2001), pp. 15330-15335 [10.1073/pnas.261273898] [abs]. Ghazanfar, AA; Krupa, DJ; Nicolelis, MA, Role of cortical feedback in the receptive field structure and nonlinear response properties of somatosensory thalamic neurons., Experimental Brain Research, vol 141 no. 1 (2001), pp. 88-100 [10.1007/s002210100849] [abs]. Kralik, JD; Dimitrov, DF; Krupa, DJ; Katz, DB; Cohen, D; Nicolelis, MA, Techniques for long-term multisite neuronal ensemble recordings in behaving animals., Methods (San Diego, Calif.), vol 25 no. 2 (2001), pp. 121-150 [10.1006/meth.2001.1231] [abs]. Krupa, DJ; Matell, MS; Brisben, AJ; Oliveira, LM; Nicolelis, MA, Behavioral properties of the trigeminal somatosensory system in rats performing whisker-dependent tactile discriminations., The Journal of Neuroscience : the Official Journal of the Society for Neuroscience, vol 21 no. 15 (2001), pp. 5752-5763 [10.1523/jneurosci.21-15-05752.2001] [abs]. Shuler, MG; Krupa, DJ; Nicolelis, MA, Bilateral integration of whisker information in the primary somatosensory cortex of rats., The Journal of Neuroscience : the Official Journal of the Society for Neuroscience, vol 21 no. 14 (2001), pp. 5251-5261 [10.1523/jneurosci.21-14-05251.2001] [abs]. Katz, DB; Simon, SA; Nicolelis, MA, Dynamic and multimodal responses of gustatory cortical neurons in awake rats., The Journal of Neuroscience : the Official Journal of the Society for Neuroscience, vol 21 no. 12 (2001), pp. 4478-4489 [10.1523/jneurosci.21-12-04478.2001] [abs]. Ghazanfar, AA; Nicolelis, MA, Feature article: the structure and function of dynamic cortical and thalamic receptive fields., Cerebral Cortex (New York, N.Y. : 1991), vol 11 no. 3 (2001), pp. 183-193 [abs]. Krupa, DJ; Brisben, AJ; Nicolelis, MA, A multi-channel whisker stimulator for producing spatiotemporally complex tactile stimuli., Journal of Neuroscience Methods, vol 104 no. 2 (2001), pp. 199-208 [10.1016/s0165-0270(00)00345-9] [abs]. Nicolelis, MA; Shuler, M, Thalamocortical and corticocortical interactions in the somatosensory system., Progress in Brain Research, vol 130 (2001), pp. 90-110 [abs].